My first sponsor is Jewelry Bar. 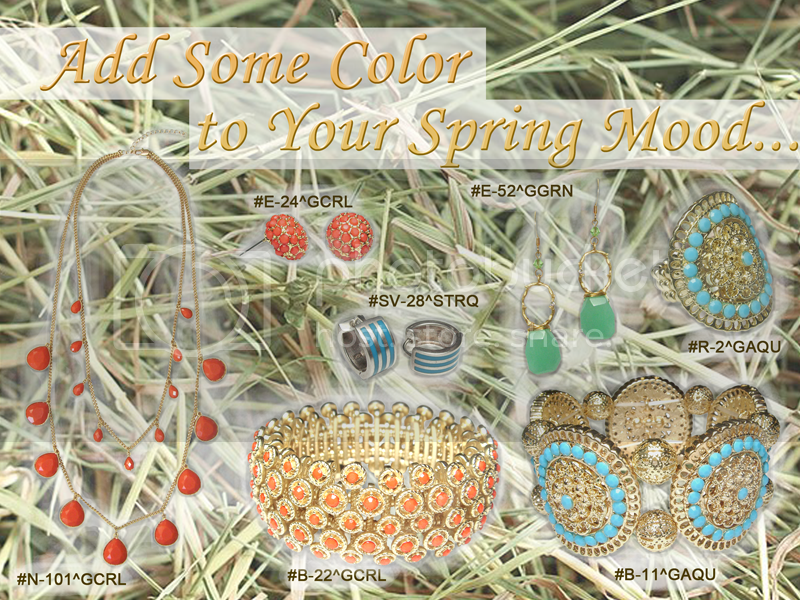 This NYC-based accessories company is new and rapidly becoming a haute and hot source for jewelry! After you read more about them in the Q&A below, be sure to complete the earn early entries! Jewelry Bar is a very young company: it has started about a year ago, but has already gained a great success among not only the New York City, Long Island, Boston, Washington D.C. and Philadelphia fashionistas, but also among the US visitors from all over the world. 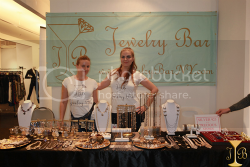 Jewelry Bar works are fashion events, street festivals, holiday markets and online business (we do ship worldwide!). Many customers are returning again and again to pick their favorites from the latest collections that follow the daily changes in fashion! Another important direction in which Jewelry Bar works is supporting the charities. During its existence, Jewelry Bar has taken part in charity events benefiting such organizations as CouldYou? (a non-profit organization that fights poverty in Mozambique), Nomi Networks (a non-profit organization that fights against human trafficking), LINK (a non-profit organization that helps New York children learn how to read) and Postpartum Progress (a non-profit organization that provides help and information on perinatal mental illness for pregnant women and new mothers). There are two heads in this company, Anna and Mariya; they both were born and raised in one of the most beautiful cities in the world – Saint Petersburg, Russia. They moved to New York to introduce the European view of fashion to America. Anna and Mariya both started from working in fashion industry for the world’s leading companies, and eventually got to the point when their own company, Jewelry Bar, was born. The merchandise of Jewelry Bar is very unique. The company works with great designers from all over the world, picking the best costume jewelry items and introducing them to the great taste of our customers. The pieces that Jewelry Bar sells are made in very limited editions, so that the collection is constantly changing. Moreover, both Mariya and Anna design some pieces, so those items cannot be found anywhere else except for our collection. For customers that prefer fine jewelry there is a line of Silver 925 with Precious Stones jewelry. What is more, Jewelry Bar carries a line of Handmade Leather Sandals of our own design. These sandals are perfect for the beach getaways as well as for the summer in the city! Every woman can easily feel pretty this summer – just follow the simple trends and create your own unique style! The main trend of each summer is definitely colorful jewelry: coral, aqua, green, white, pink, light purple – these colors will brighten up your days and compliment your summer outfits wherever you will go! Jewelry Bar carries a wide assortment of colorful summer jewelry – a plenty to choose from! So that every woman can find the pieces that will create her own unique style! But each summer has its own big trend: the biggest one of this summer is definitely the colorful starfishes. They embody the main ideas of the summer and remind you of the days spent at beach even if you are sitting in the office. Jewelry Bar carries the starfishes in every possible way: necklaces, earrings, rings as well as the Starfish leather sandals. Bring the starfish trend into your everyday life and let it brighten up your summer! Ooh! That's a nice necklace. I'm tweeting right now :) Thanks Teresha. Great post. I always like the products you back. They are the type of little companies I would back too. I did both but I know I only get one entry!